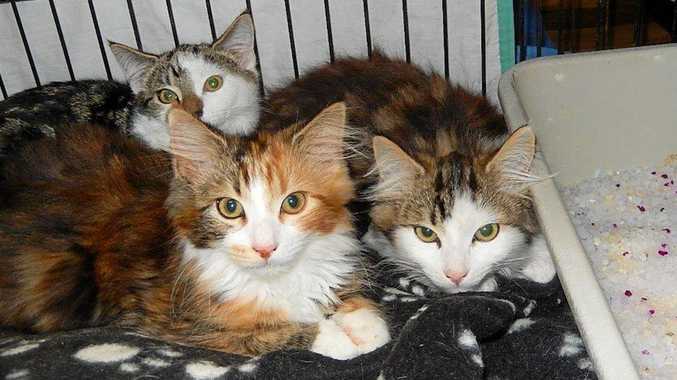 LUCKY ESCAPE: The three kittens recently found in a sealed box behind a Lifeline bin. FOR three kittens it was fortunate a good Samaritan had decided to clean out her cupboards last week. Judy Whicker from the Gladstone Animal Rescue Group Inc. said the woman was putting items into a donation bin at the Lifeline Superstore on Benaraby Rd. when she heard a scraping noise coming from behind the bin. "She opened a cardboard removal box and inside it were three very distressed kittens," she said. "They had no food or water and very little air." The kittens were immediately taken to Betty's Cat Orphanage at Beecher. "We're so disappointed people could do this when they could give them to us, put them into the pound, or Anita's Angels or the RSPCA. "There's absolutely no need for them to be dumped in this manner." 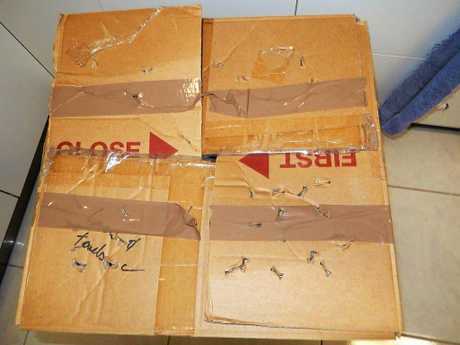 LUCKY ESCAPE: The box in which three kittens were trapped in. The kittens are on the road to recovery along with 40 other cats and kittens at the centre. "By the time kitten season is over we'll probably have over 50 cats and kittens," she said. "With the warmer winter weather we really haven't had a break from kitten season this year." Mrs Whicker added the group will be holding a dog and cat adoption day this Sunday between 10 and midday at 17 Pams Court Beecher. "Also, if anyone wants to donate food, bedding or money then contact us via the Gladstone Animal Rescue Group Facebook page."